It’s time to get dressed! This month’s clothing-themed lesson kit is perfectly tailored for aural rehabilitation professionals. There’s more than 40 pages of professional speech therapy lesson plans & high-quality illustrations—download your free rehabilitation lesson kit at the bottom of this post! Wondering what this lesson kit is and who it’s made for? Our free comprehensive lesson kits are a professional resource for listening & spoken language specialists, audiologists, speech & language pathologists, rehabilitation specialists, and any other professional that works with children with hearing loss. If you’re new to our themed lesson kits, you should start with Lesson Kit #1. This month, the lesson kit theme is “Clothing”. 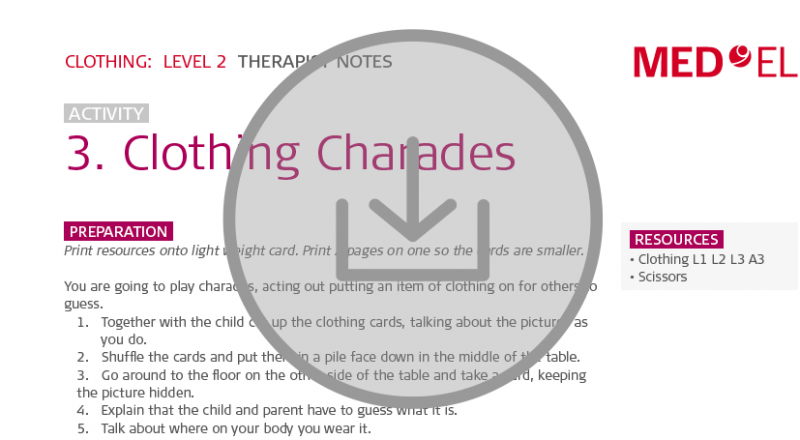 You’ll be using clothing-themed vocabulary and imagery for speech therapy & aural rehabilitation exercises. This month’s rehabilitation activities include a memory game, sorting activities, a sing-along, and charades. 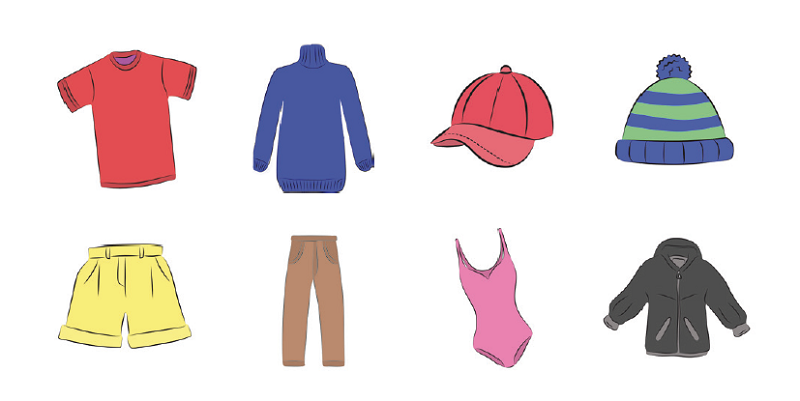 Click here to download your Clothing Themed Lesson Kit!